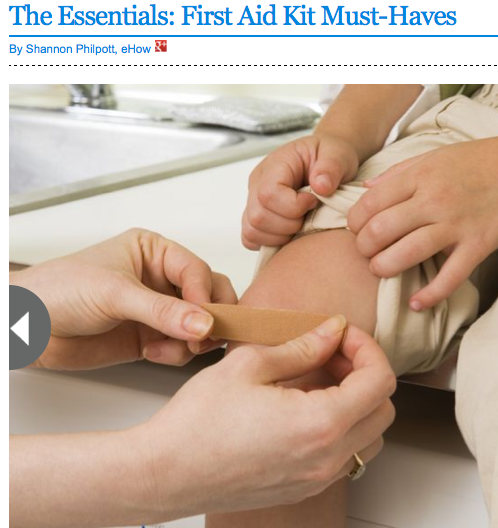 Whether you are nurturing skinned knees and scraped elbows in the backyard or wrapping up a sprained ankle on the side of the road, having medical and first aid materials is essential both at home and on the go. Accidents of any kind are bound to happen, and preparation is crucial to ensure the safety of your family. Packing a first aid kit to have on hand doesn’t have to break the bank or take up a lot of room in your vehicle or mudroom. In fact, just by gathering the essentials, you’re preparing yourself to better cope with unexpected injuries.